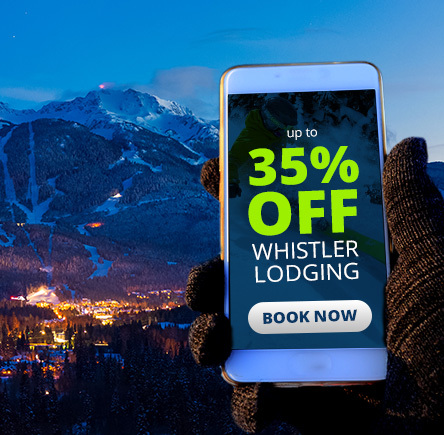 Book your Whistler getaway before end of day November 28, 2018 and save up to 35% Off. *Offer is valid with new reservations only. Some black-out dates and minimum length of stay restrictions may apply. Please contact one of our friendly reservation specialists at 1-888-621-1177 to redeem your free 1-day ski/snowboard rental. Secure the absolute best rate for your vacation when booking directly with Whistler Premier.